Keeping public spaces clean and tidy can be an difficult job, requiring lots of maintenance and ongoing care. 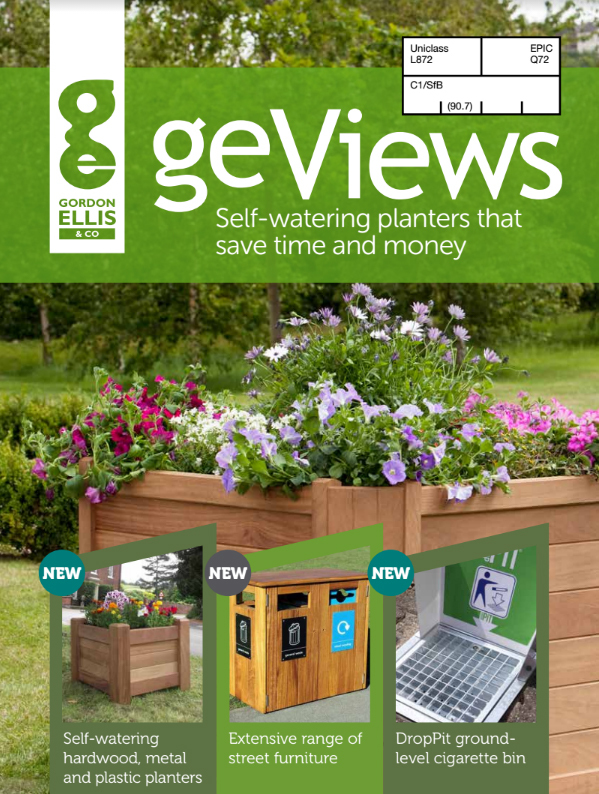 Litter bins are the first step to tackling unwanted litter and geViews offer a range of cost effective styles to meet your requirements. 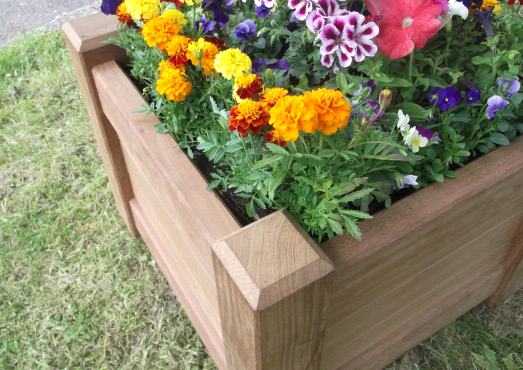 Our long lasting Iroko hardwood bins, with either lockable doors or a slatted design, are incredibly durable and need little ongoing maintenance. We also offer the slatted design made from gecoPlas 100% recycled plastic which is vandal resistant and offers long service life. 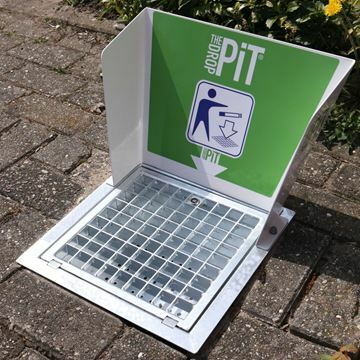 The Droppit litter bin is an ideal solution for unwanted cigarette butts and small litter. 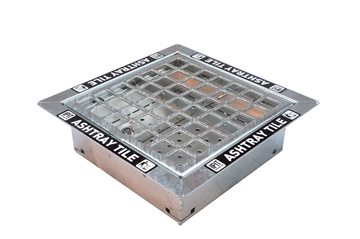 Installed into the ground, simple sweep litter into the tray before emptying to save time and effort. 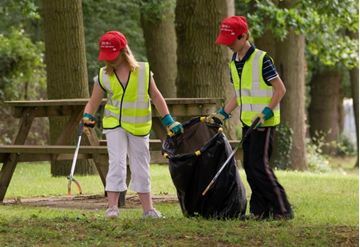 Litterpickers are the final solution to keep your premises clear of unsightly litter. 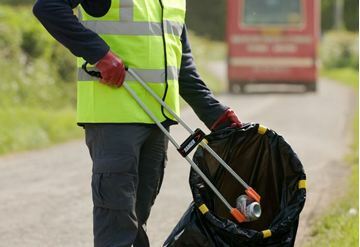 We have a range of litterpickers suitable to various needs, and the Handihoop, which keeps bin bags open making them easier to carry and handle. Sturdy, smart and quick to empty. 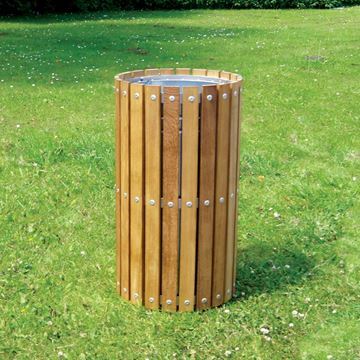 Economical and smaller version of the DropPit litter bin. Long lasting hardwood with a removable steel liner. 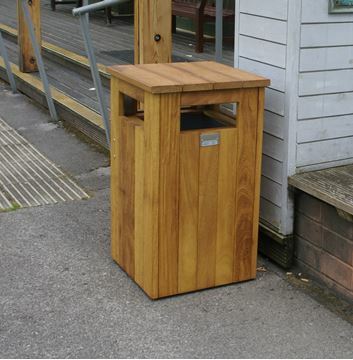 Full range of open topped litter bins in Iroko or gecoPlas. 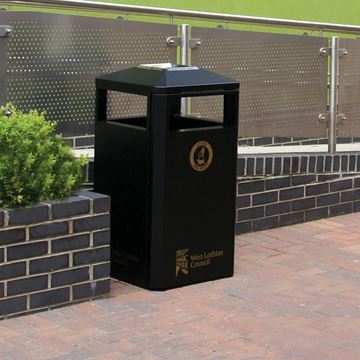 Clean up an entrance with this ground level cigarette and small litter bin. Specially designed for children with dinosaur or raptor imagery. The Handi Hoop helps keep litter bags open for easy use. The worlds number 1 selling litter picker. 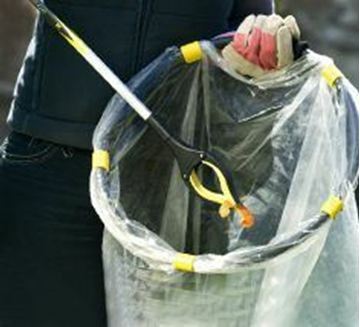 Rugged, durable and lightweight making litter picking easy for long periods of time. 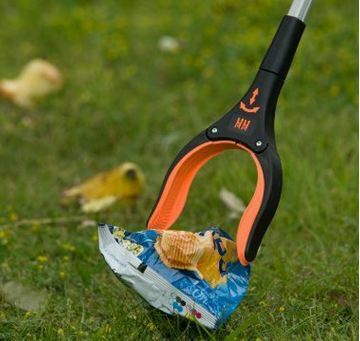 The ultimate litter picker that can pick up on any surface.